TRACK YOUR FITNESS: Offering two powerful and effective workout routines in one compact machine -- a fat burning cardio workout plus an effective toning and resistance workout. The informative LCD training computer will ensure you stay focused during your workout as it tracks Time, Count, Reps and Calories. 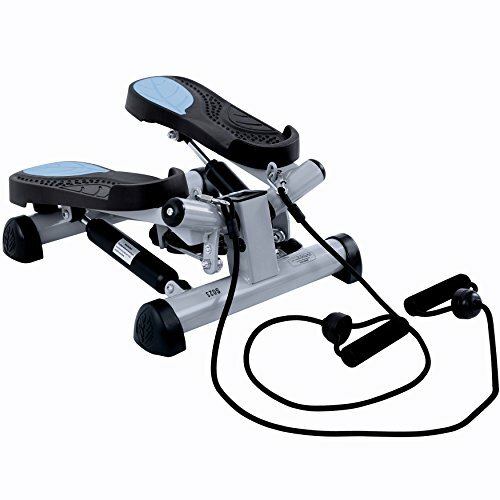 If you're looking for a way to improve calorie burning throughout the day, the EFitment S023 Twist Fitness Stepper with Resistance Bands could prove a good option. Pair with the resistance bands, and you can tone your arms, legs, glutes, and back. The walking motion of the mini stepper gets your heart and lungs working and can provide an aerobic workout for improved cardiovascular health and increased endurance. The aerobic exercise will help boost your immune system, help control blood glucose levels and improve your sense of well-being. Take the step in improving your overall health.